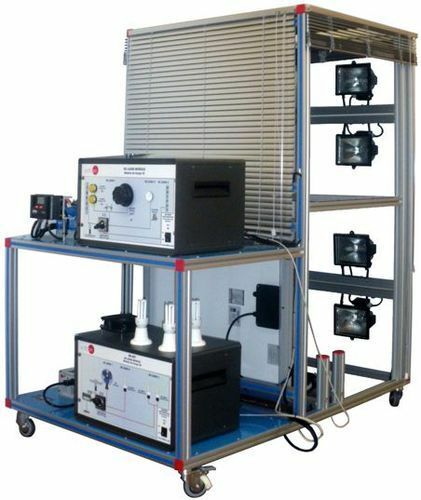 Manufacturing Engineering training equipment for teaching for technical colleges and universities. EDUCATIONAL EQUIPMENT - Engineering Training equipment & Educational Models for Engineering Schools, Engineering Colleges, Universities, Technical Institutes, Poly technique, Engineering Training Labs & Higher Education Institutes. Manufacturers of Engineering Models, Engineering Education Equipment Models & Kits for Engineering Training Labs, Higher Education Institutes and Colleges. • Programmable turret: 8 position • The machine should be built on grey cast iron base with integrated coolant tank.• It should have an industrial CNC control system• It should feature hydraulic Chuck and manual tailstock, removable chip tray. the software should feature a special educational module for the basic beginners learning CNC programs covering all the cycles. 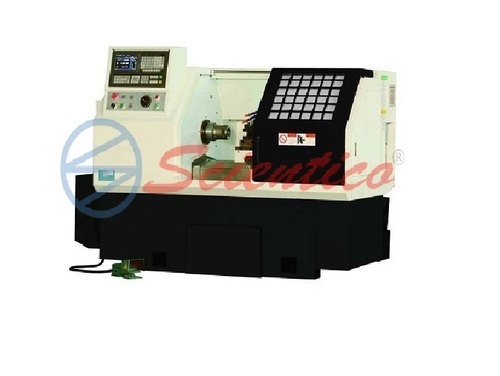 It should also feature a programming tool for creating part program from basic to advanced levels, offering a user-friendly selection window with list of G and M codes for writing CNC part programs quickly and sileay with flexibility to directly enter each word of the CNC block as the code is added to the CNC editor. Looking for “Engineering Training Equipment”?